Thank you for your interest in the Montreal Double Double. The weekend will consist of a double century from Schuylerville, NY to Montreal on Friday, a leisurely rest day in Montreal on Saturday, then another double century back to Schuylerville on Sunday. 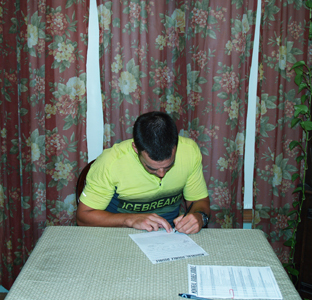 Online registration is open, or you may use the ENTRY FORM and mail in your registration. This event is limited to 12 riders and the entry deadline is July 31st and day of event registration will not be available. Whether you plan to go all out or just ride, this is a fun ride and everyone always has a great time! If you've never been to Montreal, this is a great opportunity to go. If you have been there, then you know what a great city it is. Either way, with a full rest day, you'll have plenty of time to explore some of its wonders. To learn more about the Montreal Double Double, scroll down or use the links to the left. If you have any questions feel free to contact us. Thanks, and hope to see you in Montreal! 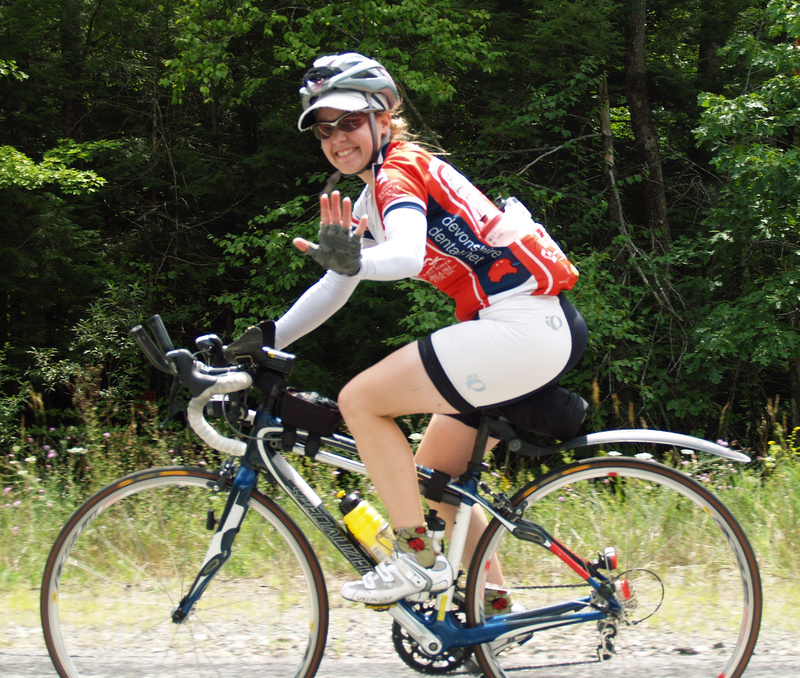 Your entry fee includes at least the following: two rest stops on each riding day with snacks and drinks, limited emergency sag support, gear shuttle, overnight accommodations for two nights in the Montreal area and a buffet breakfast on Saturday. All rooms are double occupancy, except for those that choose the premium single occupancy option. We will be staying at the Holiday Inn in LONGUEUIL, QC, which is just across the St. Lawrence River from Montreal. There is easy access to Montreal via ferries, trains, cabs, bikes, etc., and LONGUEUIL is a vibrant town on its own, with a lively downtown and several good RESTAURANTS and nightclubs. This event is held rain or shine and all entries are non-refundable, non-transferable and no credit will be given to entrants that do not attend. Registration is limited to 12 riders and closes on July 31st and same day registration will not be available. This event crosses the international border between the United States and Canada. All participants must have the necessary documentation for entry into Canada and re-entry into the U.S. Please prepare for this carefully and make sure you have everything you need. If you are denied entry into Canada or the U.S. for any reason, we can not take any responsibility whatsoever. We'll try to help resolve any situations to the best of our abilities, but our main duty lies with getting the group to the finish of each day's ride. All participants must be over 18, unless accompanied by their parent or guardian. Final details, cue sheets, itineraries and other information will be sent to all registered riders with their final confirmation package, usually 3-5 days before the start of the event. 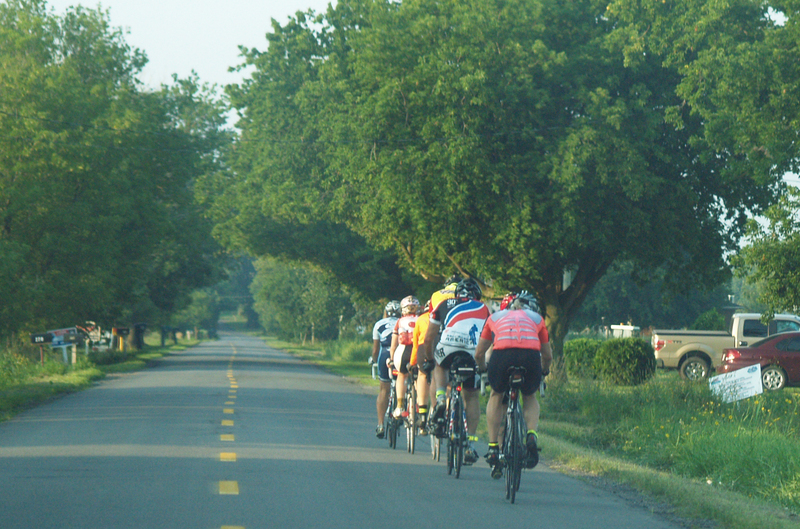 Riders are expected to be properly prepared and self sufficient on the road. We will provide support to the best of our ability, but we can’t be everywhere at once, especially if the group spreads out. The support van tries to pass each rider at least once in between the suggested rest stops, which are every 25-30 miles, but there may not be services in between rest stops, so please be prepared. For a checklist of items to bring and other information, CLICK HERE. A limited number of spots for non-riding guests of riders may be available, but transportation to and from Montreal will not be available. For more information and pricing, please CONTACT US. Pets are not allowed at this event in any capacity. That includes at the rest stops, at hotels, at meetings, on the route, in a car, in a trailer, in a child seat or on a leash. If any rider, family, friend, support crew member, volunteer or anyone else associated with this event arrives with a pet, they and their associated rider will be asked to leave immediately, forfeiting their spot and their entry fee. 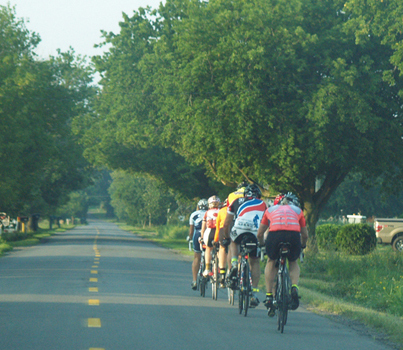 Drafting is allowed and group riding is encouraged. Aero bars and disc wheels are allowed. All types of human powered bikes are allowed, but please note that some types of bikes (i.e. tandems, recumbents, HPVs...) may not fit in our support vehicles, limiting our ability to sag riders. 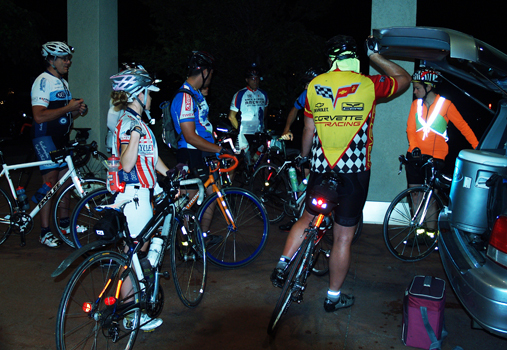 Lights are required and riders should expect 2-4 hours of night riding on each riding day. To view our lighting requirements, and other suggested items to bring, CLICK HERE. Personal support crews are allowed, but discouraged. If a rider uses a support crew, they may only assist their rider at designated checkpoints and must make their own overnight arraignments in Montreal, or register with us as a non-rider, if space is available. Exact itineraries and final details will be sent to all registered riders with their final confirmation package, usually 3-5 days before the ride. All funds must be in US dollars. All participants must be over 18, unless accompanied by their parent or guardian. Online registration is open or you may use the entry form and mail in your registration. This event is limited to 12 riders and the entry deadline is July 31st and day of event registration will not be available. 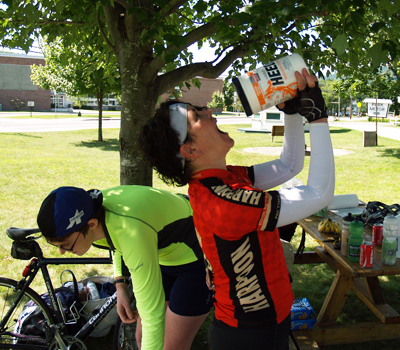 Your entry fee includes at least the following: two rest stops on each riding day with snacks and drinks, limited emergency sag support, gear shuttle, overnight accommodations for two nights in the Montreal area and a buffet breakfast on Saturday. We will be staying at the Holiday Inn in LONGUEUIL, QC, which is just across the St. Lawrence River from Montreal. There is easy access to Montreal via ferries, trains, cabs, bikes, etc., and LONGUEUIL is a vibrant town on its own, with a lively downtown and several good RESTAURANTS and niteclubs. SATURDAY, August 10th, 2019: REST DAY: No official group activities planned – enjoy the day in Montreal! The terrain will be varied, with three distinct sections. The 30 miles between Schuylerville and Lake George will be rolling, with a couple of long gradual hills. 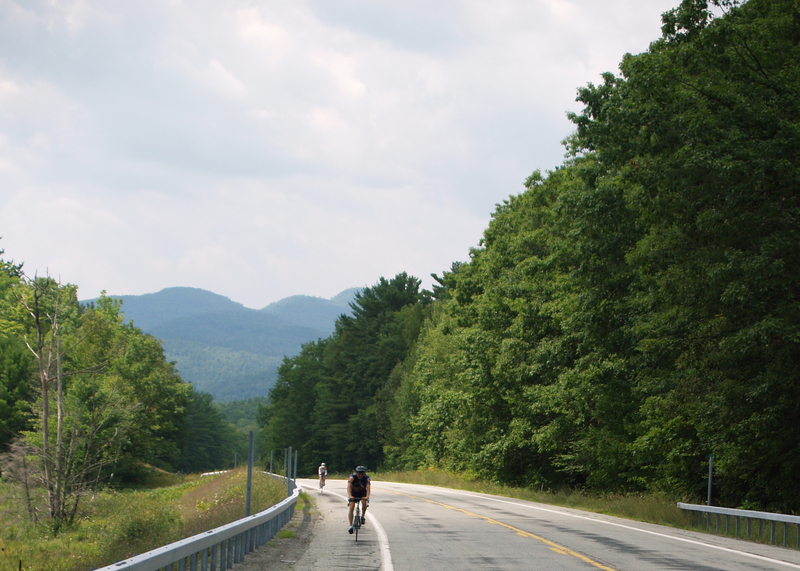 The next 100 miles to Plattsburgh will be typical Adirondack terrain: short steep hills with a few long climbs thrown in for good measure. 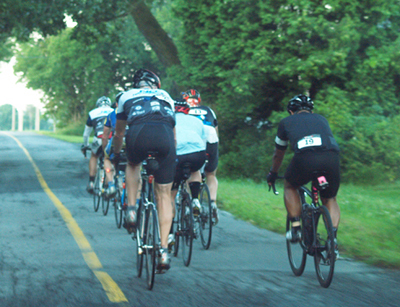 Then, the final 70 miles into Montreal will be a stark contrast to the ride so far. It will be flat. Pancake flat. Kansas flat. Unbelievably flat. No hills except for a couple of highway overpasses and bridges. 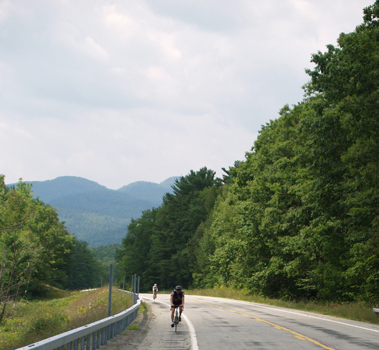 Overall, there's about 5,500 feet of climbing going north, and about 6,800 feet of climbing going south, with most of it coming between Lake George and Plattsburgh. Please note that some of the roads in Quebec are a bit on the rough side and you may want to make adjustments to your equipment. The weather will most likely be hot and humid, with a chance of an afternoon thunderstorm and early morning fog. The wind is usually from the south or the west in the summer but can come from any direction and please note that there is not a lot of shade on this route. For the current weather conditions in Schuyleville, click here. For the current weather conditions in Elizabethtown (miles 90/110), click here. For the current weather conditions in Plattsburgh (miles 125/75), click here. For the current weather conditions in Montreal, click here. 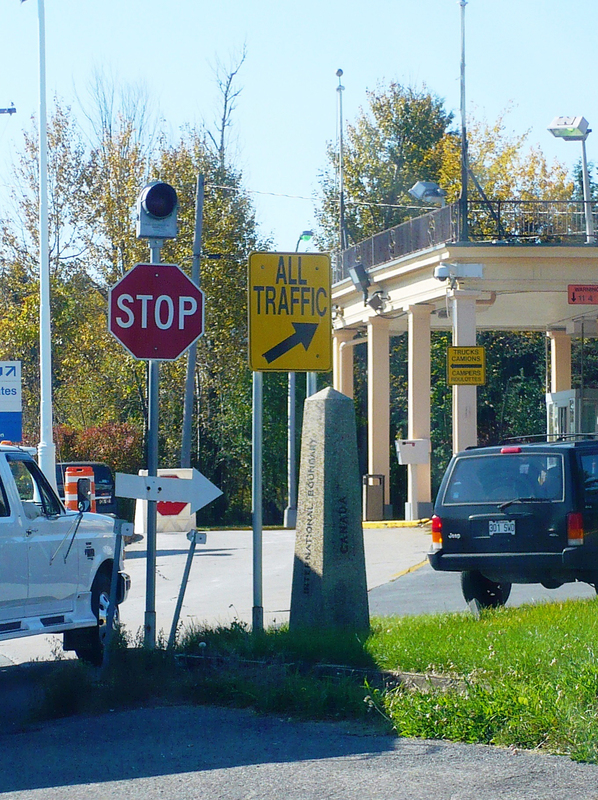 This ride crosses the international border between the United States and Canada. 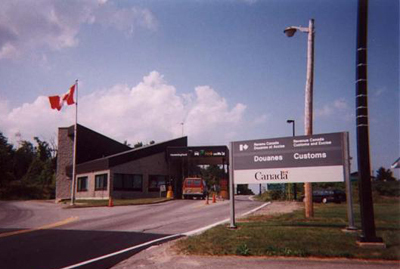 All participants must have the necessary documentation for entry into Canada and reentry into the U.S. Please prepare for this carefully and make sure you have everything you need. For information on crossing the border between the United States and Canada, click here to go to the travel section of the U.S. Customs and Border Protection web site. If you are denied entry into Canada or the U.S. for any reason, we can not take any responsibility whatsoever. We'll try to help resolve any situations to the best of our abilities, but our main duties lie with getting the group to the finish of each day's ride. Each rider will be allowed one medium-sized soft bag for us to transport to and from Montreal. Please note that this bag may not be available except at the start and finish of each riding day. Riders will also be provided with a small bag or tote to load with personal items, that will be accessible on each riding day. Please note that any item that does not fit in the provided container will not be taken in the support vehicle. 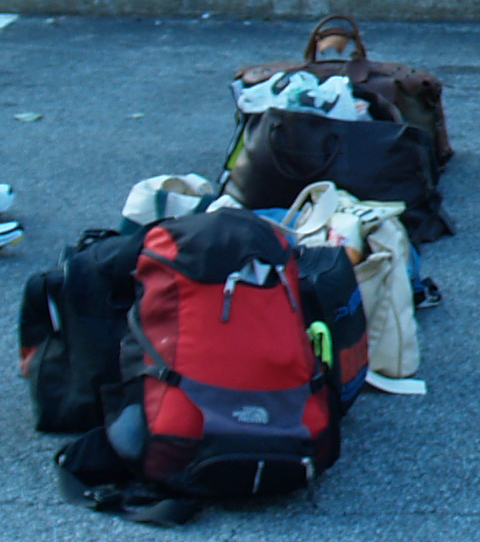 All bags must have an ID tag on them with your name, address and phone number. A limited number of spots for non-riding guests of riders may be available, but transportation to and from Montreal will not be provided. For more information and pricing, please CONTACT US. 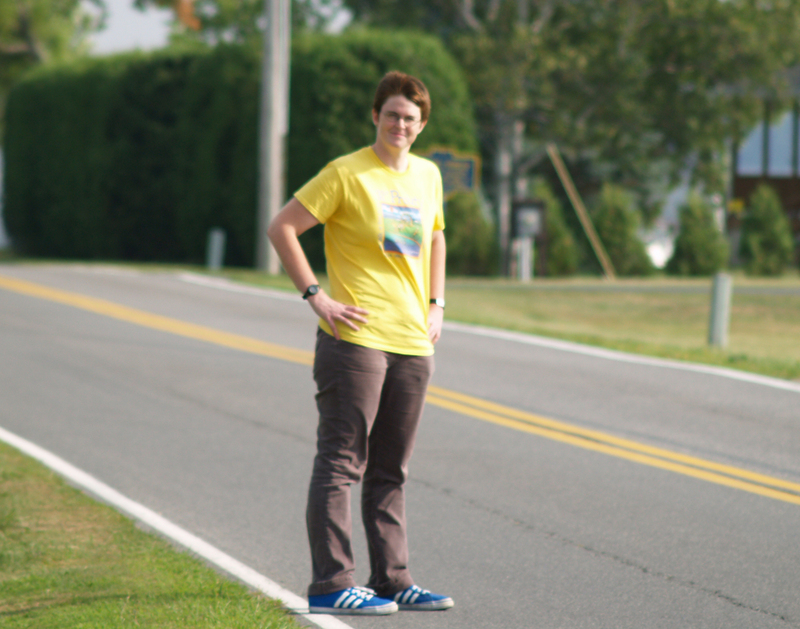 We can use a couple of working volunteers to help us support this ride. Please note that volunteers may be required to use their own vehicle to carry gear and supplies. Being a working volunteer is a great way for a non rider or family member to join a cyclist on this ride. All expenses will be paid, including food, gas and hotel. The volunteer will have Saturday to themselves, and it's possible you may be able to ride part of each riding day, but that's not guaranteed, since your primary responsibility will be to help support the group. If you're interested in helping out, or have any other questions, feel free to CONTACT US.